Good morning!! It's time for a new BOM, or BOW, as I'm uploading every Friday. This is block 1 of Grow In Grace, already in the Facebook files on my group [link on sidebar]. The blocks are all based on scripture, which are given in the pattern itself. If you do NOT use facebook, which I can understand perfectly, please leave me a comment with your email and I will send it to you as an attachment. And thought, that’s it! I got some white tone-on-tone fabric for the middle, and started figuring out the math. I’m quite sure that this is not a new block, someone has already made it somewhere over the years, but this is what I came up with. 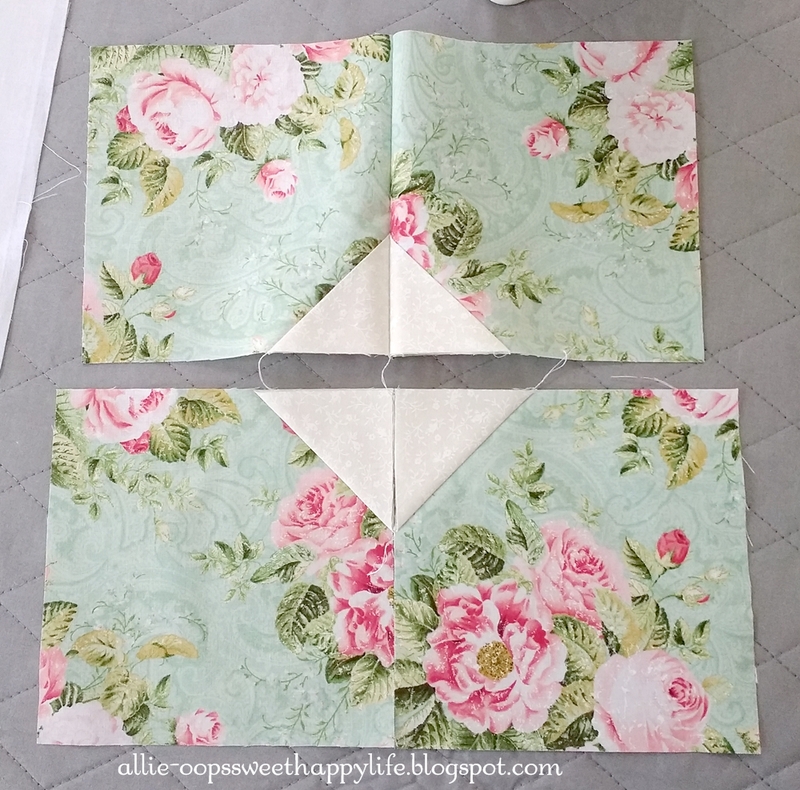 For each block, you’ll cut four squares at 6” each, and four squares for the middle at 2.5” each. 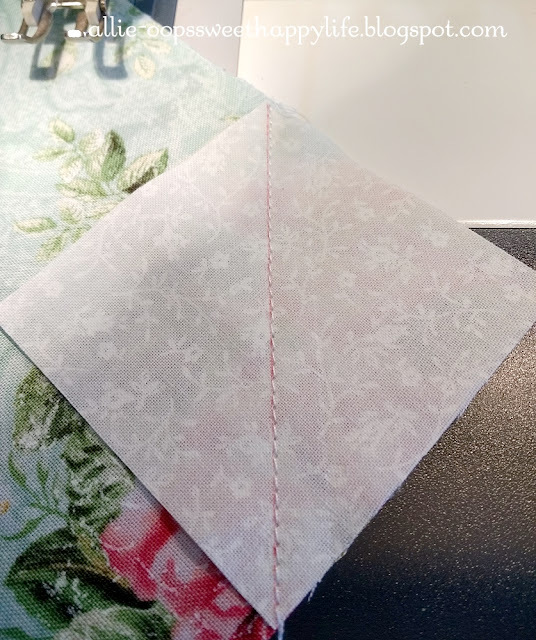 Draw a line from corner to corner on the back of the 2.5” square, and lay it on the corner of the big square, right sides together, like this. This is where I ran into problems. 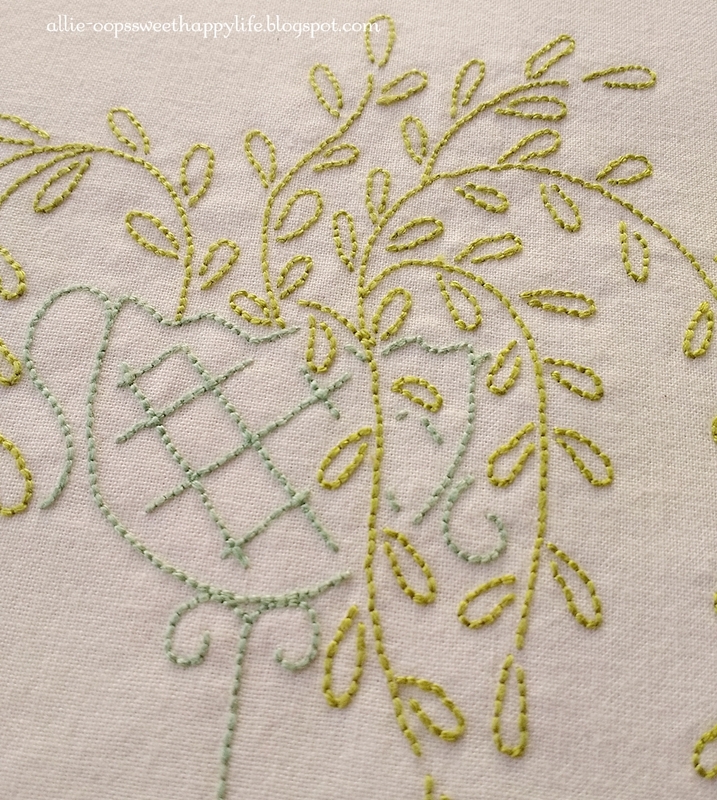 Apparently you can’t stitch right on the line – I stitched just below it, on the corner side. When I stitched right on the line, and folded it over, it was a bit short. Stitching just below the line will line it up perfectly with the corner. 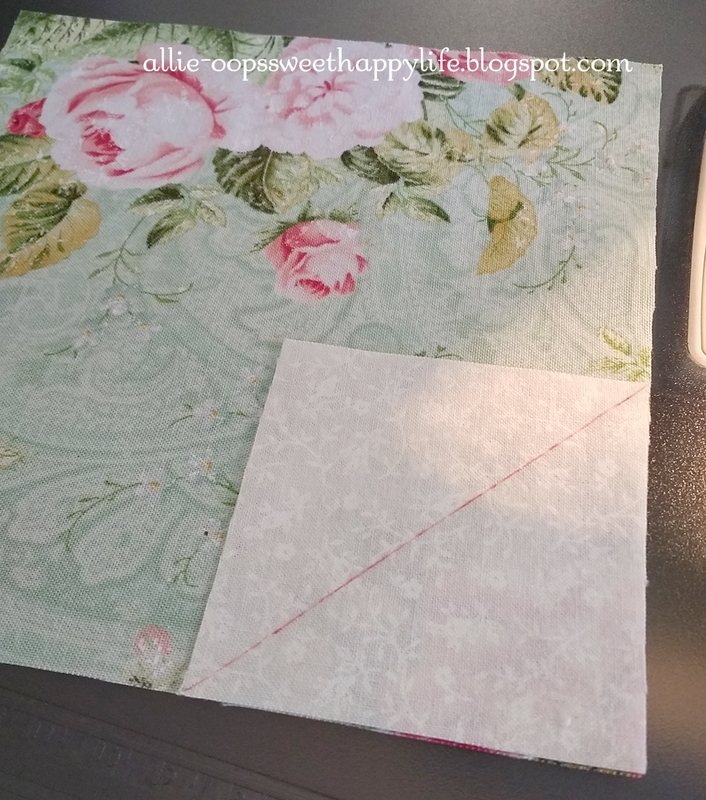 When you’re satisfied with the placement, trim your seams to ¼” and press open. I press all seams open to reduce bulk. This works best with non-directional fabrics. If using a fabric that needs to go in one direction, you’ll have to pay close attention to where your small corners are! You’ll make four of these, and put all the small corners to the center. Stitch two blocks together, twice, then stitch the rows together, keeping your centers aligned. For those of you who love piecing, it’s a simple block. For me, not so much – I won’t be making more, lol. My quilt will be just squares. 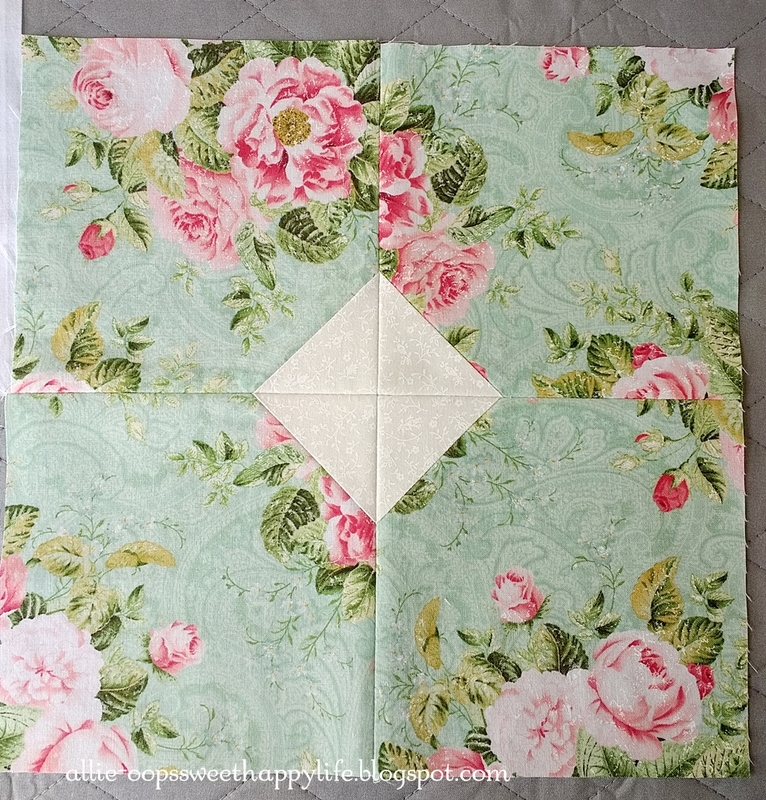 I love the fabrics, and want to show them off, but want it done in a hurry. Trying to get seams to match up is not my favorite! There are lots of possibilities with this block, you could join the blocks together as is, or add sashing in between, or even add the small squares to each corner of the block. Play with it and have fun! I’ll be doing something much simpler, lol. And now I think I'll go get another coffee, and enjoy the sunrise. Be safe, be warm, and please pray for Jenny as she battles historic flooding. I can't even imagine. Your stitchery is very pretty! I can NOT start anything new right now, but I'm sure I'll give in soon. And your fabric for your quit is gorgeous! You'll make something beautiful with it! I love what you came up with for the block, that is such a clever idea and looks beautiful. Kitchen floor...I love it! 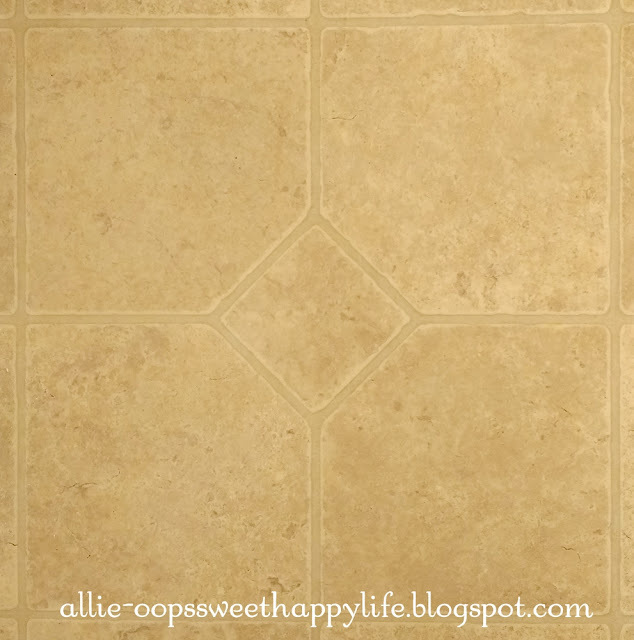 My kitchen and bathroom floors are laid out like some cut up a disappearing nine patch and then put them all the same way - pretty boring if you ask me! Love your first block! And thanks for the idea of stitching just below that line - never thought of that - always had problems there. Love your block. That fabric is Gorgeous with a capital "G". I don't have the patience for quilting and matching seams and being precise. As my hands shake most of the time from really bad nerves PTSD. Anyway love your quilting and who knew the floor could be inspiring for a quit block; but WOW. Your stitchery is beautiful! I figured the leaves were daisy stitched (I think that's what it's called), but then I see you did teeny tiny backstitching for each one . . . wow!! 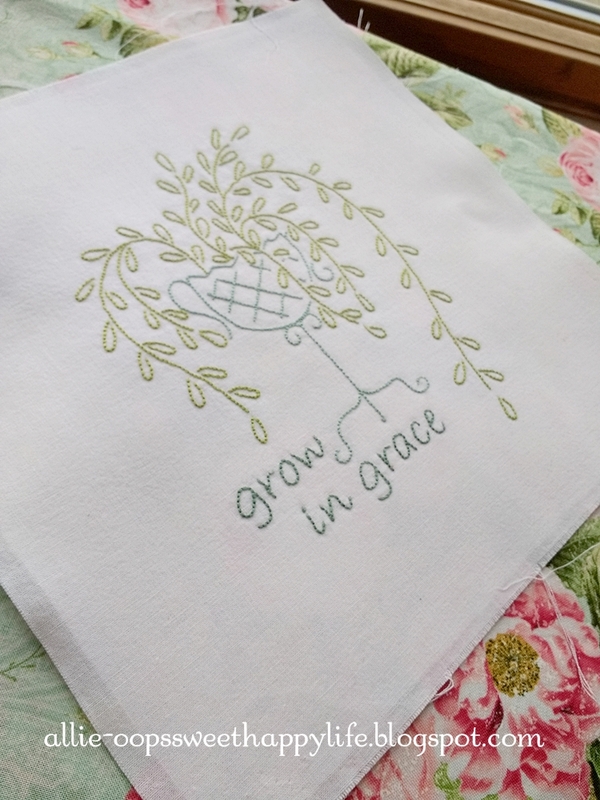 What beautiful stitchery and fabric in your block. I'm not on Facebook - thank you for sending these free blocks through to your other readers too, Allie :)! I have been praying for Jenny and the awful situation she is facing. My heart goes out to all! So glad you are back to posting - have missed your posts :)! How pretty. Love this block. love,the block of the week program idea. I do not use Facebook. my email is mmwillmon@aol.com. I am keeping Jenny and the others in Townsville in my prayers. I live in the United States. Thank you for sharing your wonderful designs with us. I'm another one that doesn't use facebook, but would love to get your blocks. My email is grimes.hilldalefarm@gmail.com. Thanks. Love all your stitching and your block is perfect.